We develop customised solutions for advertising, branded content, websites, intranets and other digital projects tailored to your company’s objectives. If the standard templates are too constricting for you, we can create something special together: advertising that is different from traditional formats. Think about advertising an event, promoting the release of a new product, or highlighting certain specific features. We can do all this and more with our ‘special adv’ advertising solutions, using creations developed ad hoc for the occasion, going beyond all the restrictions of standard advertising formats. We will work alongside your company at every stage, from the moment we receive the brief, to the creative proposal, up to the final definitive output. All this to provide you with extraordinary visibility that is highly effective. Imagination has no limits: we can make anything happen online, or almost anything. To engage the audience and make them interact with your message. An experience to be had among the spaces of our properties boasting greater visibility and traffic. An exclusive, irreplicable format developed ad hoc, just for you. Valuable content, value for your brand. 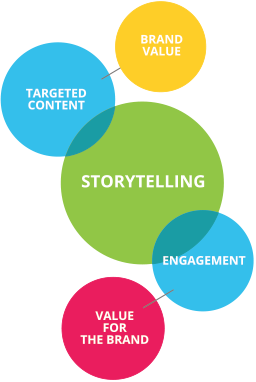 Branded content is real editorial content created specifically to tell and represent the values ​​of a brand. It is not advertising nor classical sponsorship, but content meant to engage the target in relation to a brand’s strategic topics. Depending on your company’s positioning, together we identify topics the general public will find interesting that are also close to your brand, creating and distributing specific editorial pathways integrated into the program schedules of our specific properties. A complete service, from the concept to its online publication. In the digital world, nothing is impossible: we approach all our customers’ requests with this conviction. Our specialised team for developing customised digital solutions will work alongside you from start to finish, listening to your needs and making your goals its goals. To then achieve them in the best possible way. Are you interested in our advertising solutions? Call the toll free phone number 800 011 411 or send us your request by filling out the form and we’ll get back to you as soon as possible.